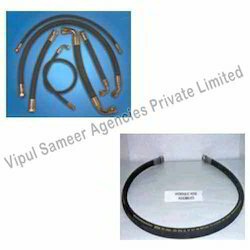 Manufacturer of a wide range of products which include hydraulic hoses assemblies and rubber hose pipes. Our company has established itself as a leading manufacturer and supplier of superior quality Hydraulic Hoses Assemblies. These hoses assemblies are used to transmit and hold hydraulic fluids like oils, solvents, and grease under low to extremely high pressure. These are extensively used in engineering and construction industries and can also be customized as per the clients’ requirements. We are prime suppliers of Hydraulic Hoses Assemblies and have won accolades for its durability, simple configuration and easy installation features. Hydraulic hoses are used in all hydraulic systems of the world and are extremely critical to the functions of these systems. These hoses are used to transmit and hold hydraulic fluids like oils, solvents, grease etc under low to extremely high pressure. These are extensively used in engineering and construction industries and can also be customized as per the clients’ requirements. They are made in state of the art facilities by skilled engineers who believe in quality and excellent after sales services. They are highly durable with a long service life. 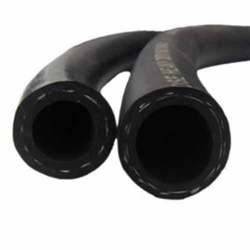 Our company has earned great laurels as manufacturers and suppliers of Rubber Hose Pipes. These Hoses are used for conveying air, water, steam, ox-acetylene gas for welding, chemicals under pressure or as discharge or delivery hose. These Hoses have double or single braiding of synthetic yarn or plies of canvas to suit different pressure ratings. Looking for Rubber Hose Pipe ?